Incorporate an intrinsic blend of rustic beauty and modern function with a state of the art farmhouse sink. 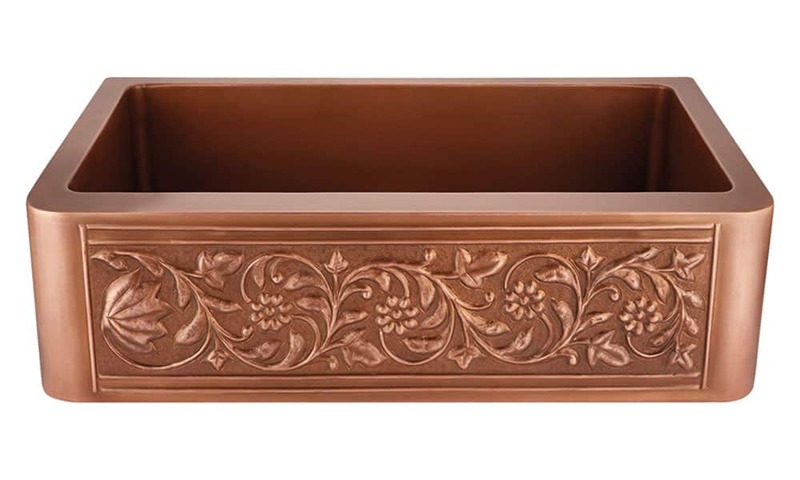 Sinks with scroll designs and floral carvings make for a look that is country chic! The farmhouse sink, also known as an apron-front sink, harkens back to a time in history when it was used to scrub large pots, wash clothes, and even bathe the family’s children. Its sturdiness and ability to hold up to daily household chores were just some of the reasons why it was so popular. In today’s kitchens, the farmhouse sink is a focal point—a statement piece that adds character and charm—that brings the feeling of country into, arguably, the most popular room in any home. And my, how the styles have changed: Farmhouse sinks in materials such as fired clay, marble, copper, and even stainless steel are available in every shape and size. Let your imagination guide your new look, and think big while you keep a necessity—dating back as far as the 17th century—alive and in use in your modern country kitchen. 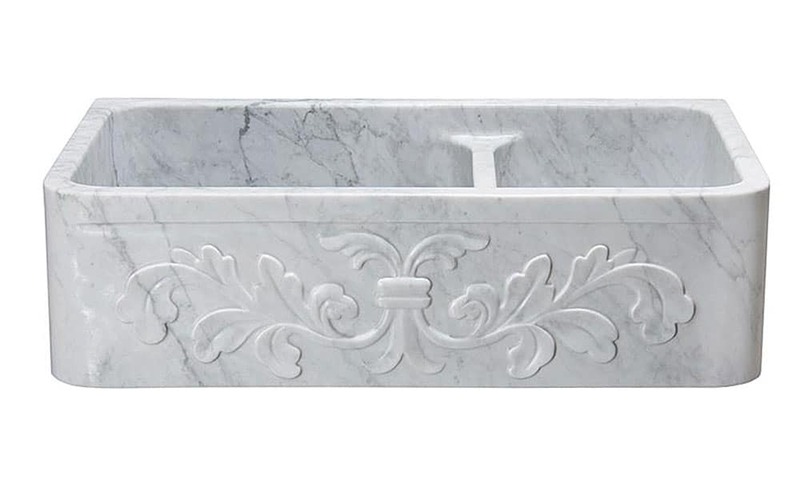 Double Basin Farmhouse Sink with Floral Carving, $3,190, Rustic Sinks. 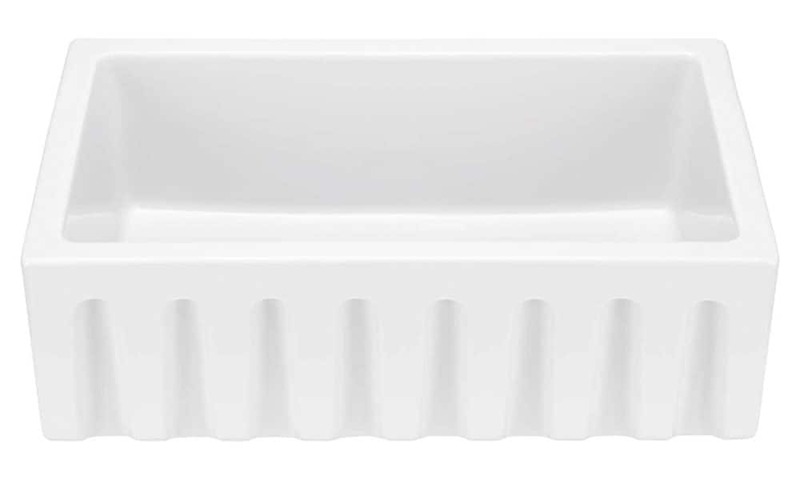 Mitzy Fireclay Reversible Farmhouse Sink, fluted front, $699, Signature Hardware. Vine Design Copper Farmhouse Sink, $1149, Signature Hardware. 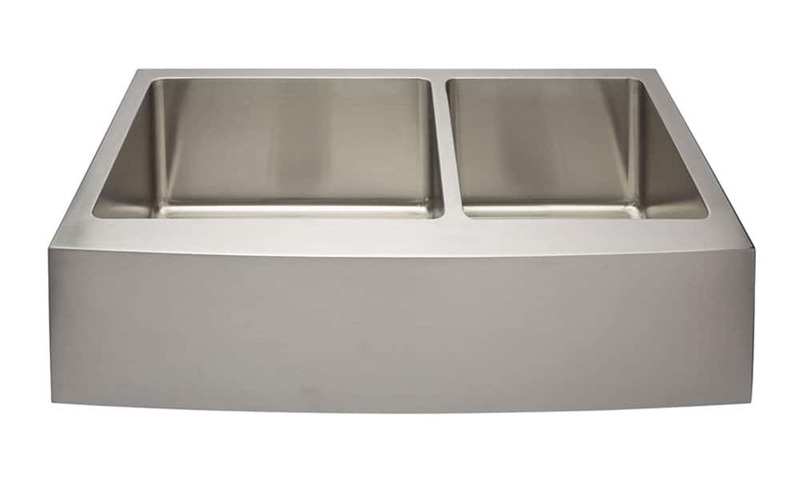 Fournier Offset Double Bowl Farmhouse Sink with curved apron, $779, Signature Hardware.